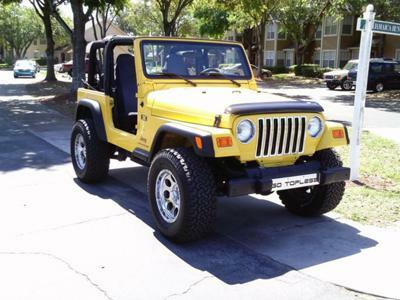 My 2006 TJ-Waiting to ride. Drive her anywhere. You can see the obvious additions. Bug deflector, grille inserts,wheels,tires..
My "Jada" gets looks and compliments even if it is a simpler look. That is the beauty of having a Jeep. It gets attention no matter what. Larry's Comment: Joseph, I agree. I'd take a Southern Jeep over Hollywood any time. I say leave the "bling" to the Hummer crowd!